I’m not particularly old-fashioned about anything. I enjoy rights such as: voting. I am pleased that I bring home my fair share of the bacon (both literally and figuratively) and believe in the division of labor within the home even if it doesn’t always happen that way. So it may come as a surprise that I have very wifely moments and firmly believe that as a southerner, there are a few things that us womens should know how to do. Expressly things that happen in the kitchen like the making of pimiento cheese (or pimentahcheese if you say it right). Don’t get me wrong, I also think we women-folk should be able to fix a toilet, change the air filter in the car and use an electric drill with precision, but being able to whip up some pimiento cheese finger sandwiches and iced tea at any given moment is also crucial. 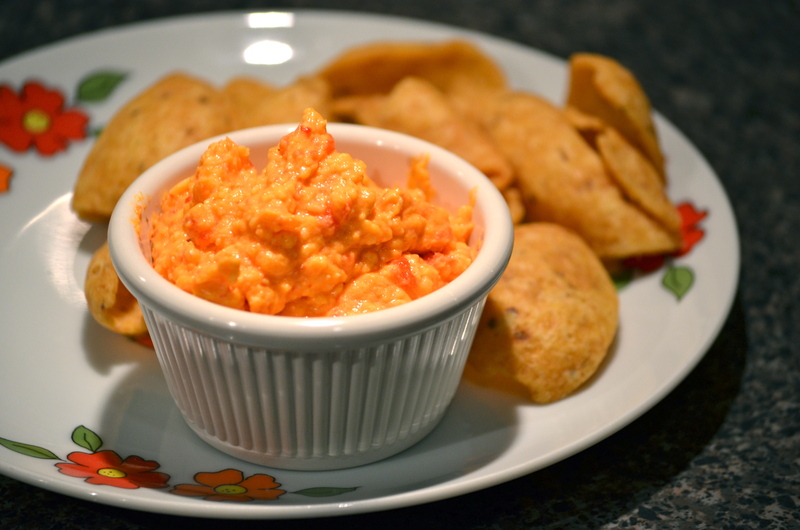 Pimiento cheese is one of the great simple pleasures in life. It’s very easy to make (especially if you have a food processor, although that’s not necessary) and it tastes good on top of just about anything. Not that I should be surprised, but it was damn good last night with a handful of Fritos. (That accidentally became dinner). 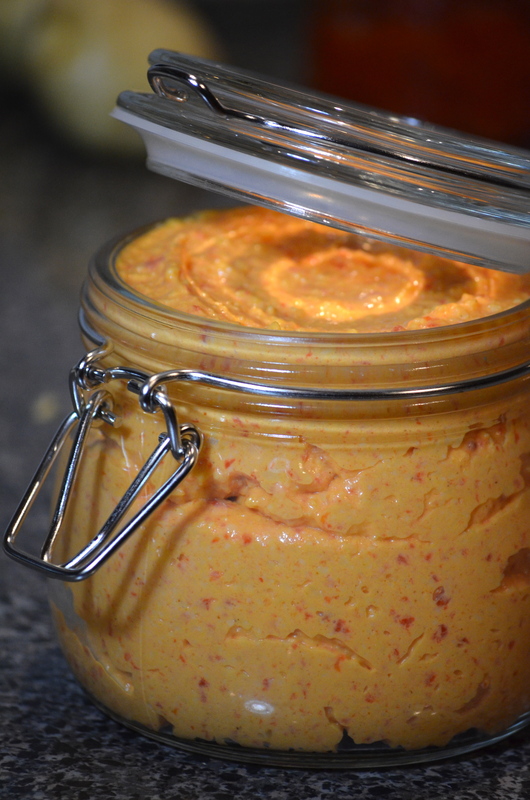 Pimiento cheese is the family crest of southern homes. It differs from household to household and some people are very opinionated on how it should taste. This is a recipe that you can make your own or you can make it just like this because it’s the right way. I like considerably less mayonnaise in my pimiento cheese than most. I don’t add a bunch of other fancy things to it (smoked paprika or garlic powder or gouda or scallions) and I like to use extra sharp and sharp cheddar. I want this to taste like two things: pimientos and cheese. And, since it’s mostly cheese, just know that you’ll need to pull it out of the fridge a few minutes before you try to spread it on bread or anything flat so it can soften up a bit. Yet another of my least favorite activities in the kitchen is grating cheese (along with peeling garlic and spinning lettuce). So rather than buy pre-shredded cheese which is generally more pricey, I buy chunks from the farmer’s market and use the grating attachment on my Cuisinart. It’s very satisfying. 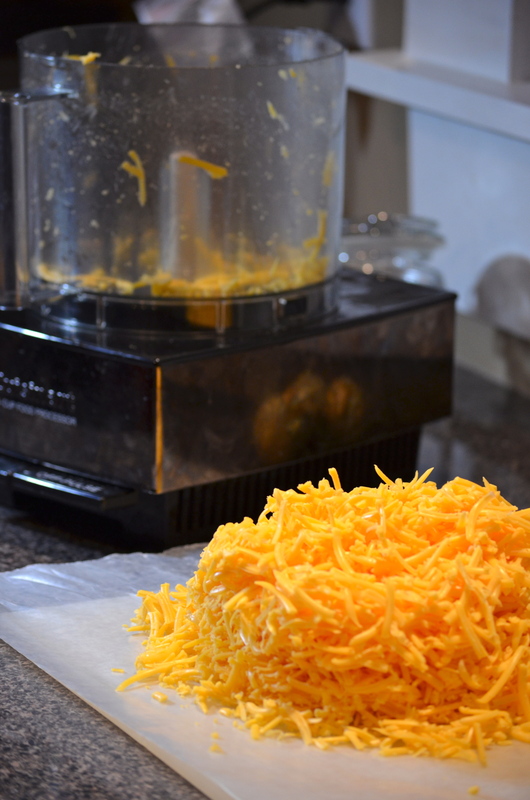 If you used a food processor, pull out the cheese and the grating attachment and put in the blade. Add the cheddar cheese, jar and a half of pimientos, salt, cayenne and mayonnaise to the processor and pulse until everything is combined. If you like your pimiento cheese chunkier, just put all those things in a bowl and stir rather than process. I have grand designs on this snack. It’s going to be served on Friday and Saturday when my best girlfriends come to town. It’ll sustain the hubby for dinner next week while I’m out for work and tomorrow, the smoked gouda cheese grits I was going to serve with my salmon are out and pimiento cheese grits are in. You’ll be hearing from me about that recipe too. 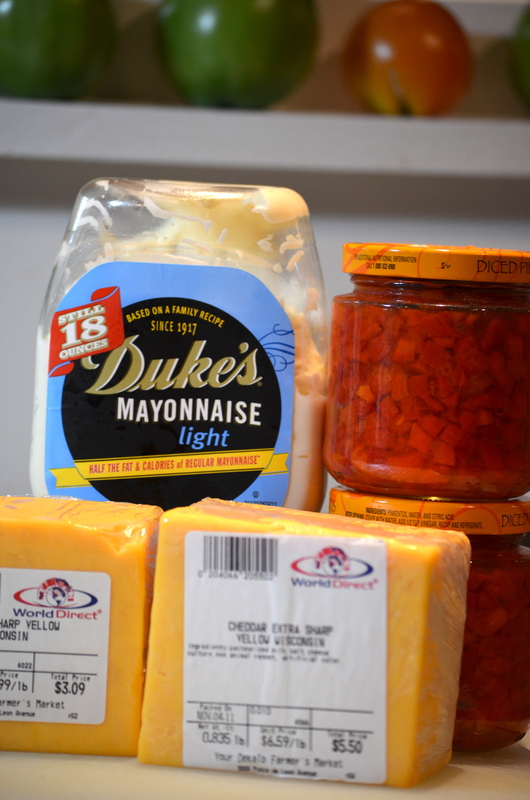 Having sampled this exact pimento cheese I can say that it was excellent! Best served with your best girlfriends. Thanks for feeding me (and my baby) yummy food all weekend. Love you! Hi Molly! Lizzie pointed me to your blog and I am grateful to her for that. It is so well done — and fun!